The technical committee on All Progressives Congress (APC) National Working Committee (NWC) tenure elongation submitted its report on Friday. Giving the document to the party´s National Chairman, Chief John Odigie-Oyegun, in Abuja, the committee’s Chairman, Gov. 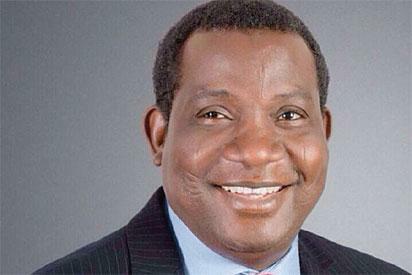 Simon Lalong of Plateau, urged the party leadership to painstakingly study the recommendations. He said that if the recommendations were accepted and implemented, the leadership logjam in the party would “become a thing of the past’’. ´´The task appeared not easy when it was given to us, but with God on our side and the very wide consultations we made, we accomplished it. ´´This report has solved most of the problems that we were thinking was within the APC, that is to tell you that there is democracy in the party,´´ Dalung said. He said that in carrying out the assignment, the committee was guided by the party´s constitution and the 1999 Constitution of the country. “The committee also looked at the minutes of the party´s National Executive Committee (NEC) meeting of Feb. 27 where the decision to extend the Odigie-Oyegun-led NWC and other party executives by one year starting from June was taken. Newsmen recall that President Muhammadu Buhari, at another NEC meeting on March 27, opposed the tenure extension decision, saying it was illegal and unconstitutional. ´´We also looked at the passion and the commitment of the President towards keeping the party as one and at the end of the day, we made far-reaching recommendations. ´´We noticed that there were different interests, which is quite usual when you have a party like this, that is progressive,´´ the committee chairman said. He added that the interests identified were genuine, and that the committee was able ´´to marry´´ all interests for the party to move forward. “A lots of things will be revealed in the report,’’ he said, adding that the committee´s report contained recommendations of certain issues that it thought the party should carry out immediately. He hinted that one of such recommendations was that the party´s leadership must summon another NEC meeting. ´´Already, we have received notices of NEC meeting for Monday which is also in line with our recommendations and we want to assure you that at the end of the day, APC is coming back to life,´´ Dalung said. Receiving the report, Odigie-Oyegun commended the committee for the job, “finally, the recommendations in your report will lay to rest the ghost that has been hovering over the leadership of APC´´. Governors elected on APC platform, had at a meeting with Buhari on Tuesday, unanimously agreed that the party should hold a congress to elect new executive. The post APC Tenure Elongation: Lalong submits report appeared first on Vanguard News.